In this fun book, a penguin family takes a wrong turn on their way to a picnic and end up at the North Pole. There they meet a friendly polar bear who helps them get back to the South Pole. They of course take the scenic route home and see all sorts of famous sites. It is an entertaining and cute book that brings the North Pole and South Pole together if for a short bit. 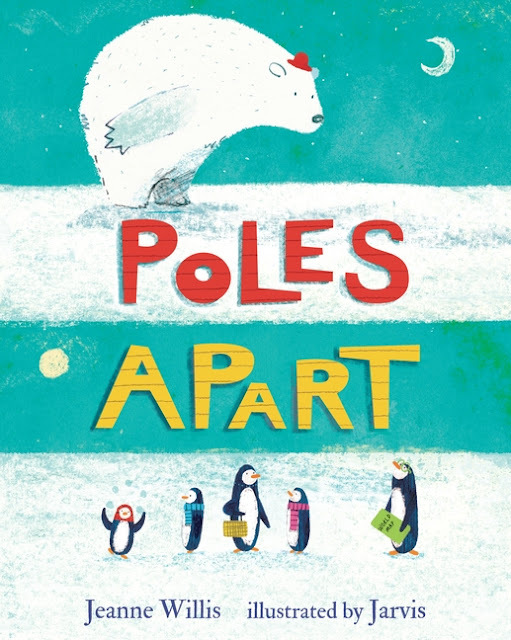 It is perfect for teaching about the two poles and the animals that live in each. 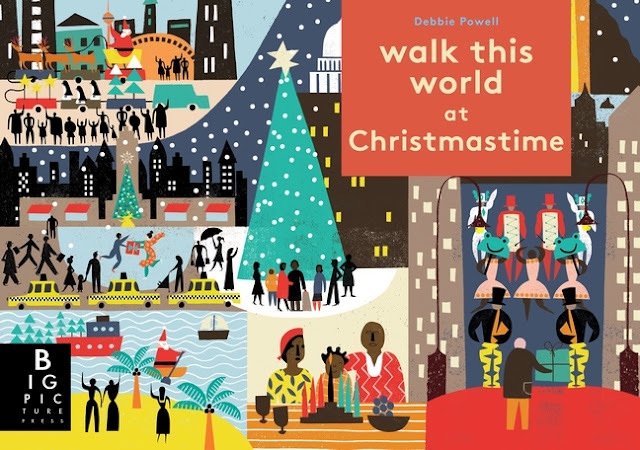 Another book that helps explore the world is Walk This World at Christmastime by Debbie Powell. This is a book that takes the reader across the world and sees some Christmas traditions in various countries. It has flaps to open and twenty-five of them are numbered so the book can be used as an Advent calendar. Inside the flaps are other traditions celebrated in that various area of the world. This book travels to the US and Canada, Mexico, Bolivia and Brazil, Nigeria, South Africa and Ethiopia, all over Europe, Lebanon, Iraq, Pakistan and India, China, Japan and the Philippines, and Australia, New Zealand and Samoa. Inside the back cover is a map with the route of the book's journey mapped out. It is the perfect book for anyone trying to see how other cultures celebrate Christmas. Our next book is also an Advent book. 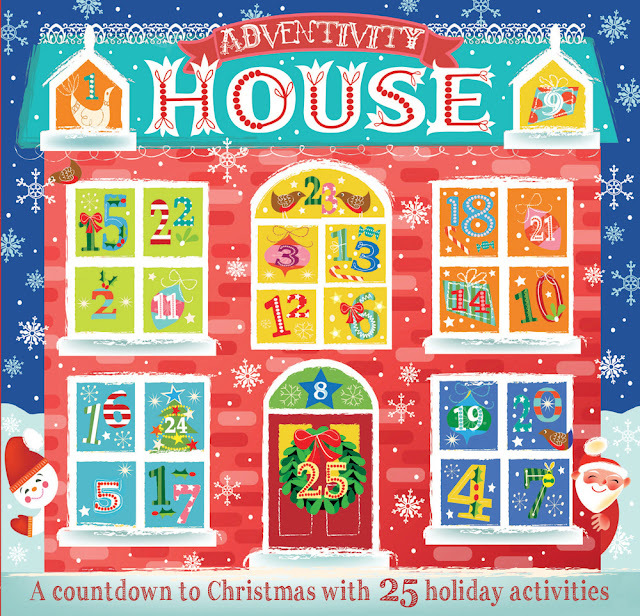 It is Adventivity House illustrated by Tracy Tucker. Its cover is an Advent calendar. 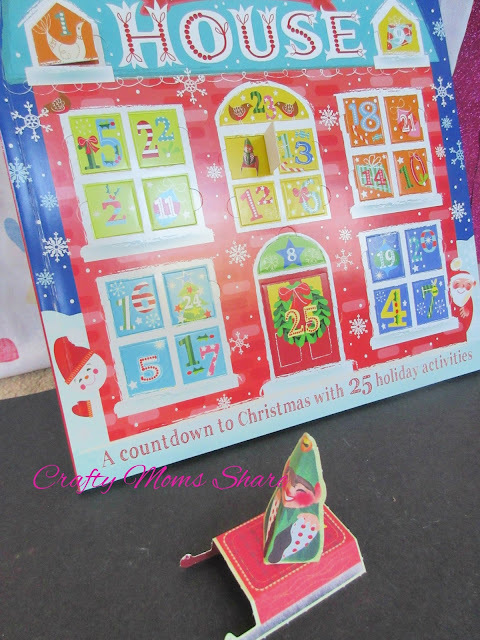 The pictures in the Advent calendar correspond to the activities and crafts for that day in the book. I looked at Day 3 and made one of the sledding elves for the elf sled race. I also opened the door and saw the sledding elf behind it. Then I put it back so Hazel could have the surprise on December 3rd. 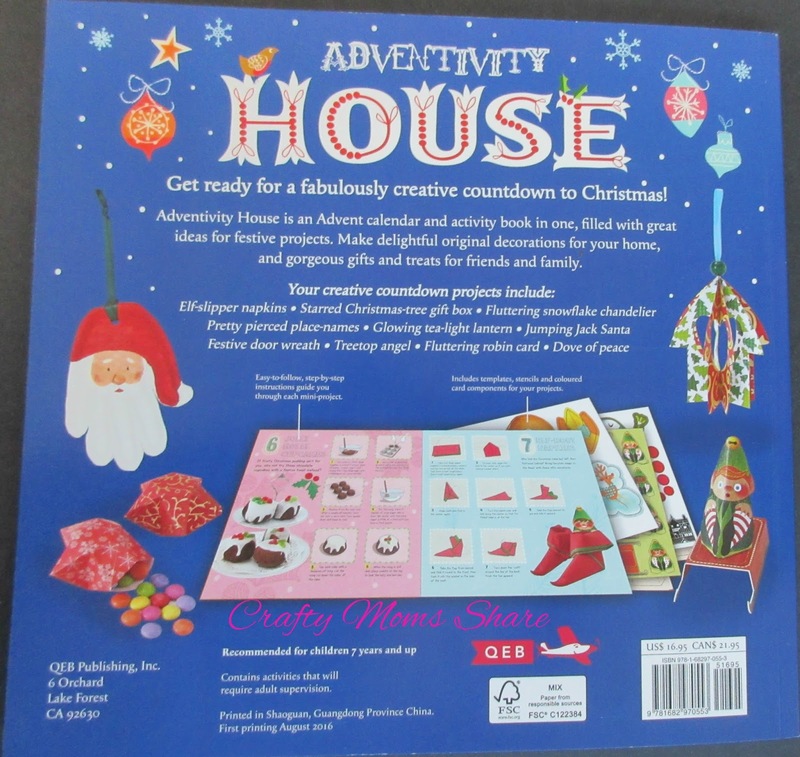 With recipes, crafts and more this book has fun activities to bring the Christmas spirit to your house. 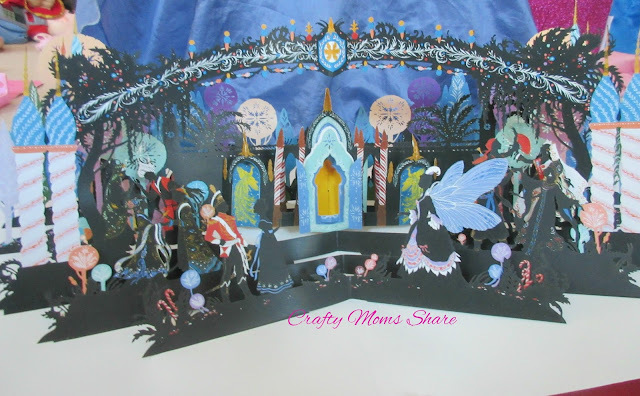 Many of the crafts have paper punch-outs that are included in the book. I know this is going to be a well loved book this year! Our next book is more of a set. North Pole Ninjas: Mission: Christmas! by Tyler Knott Gregson and Sarah Linden and illustrated by Piper Thibodeau is an alternative to Elf on the Shelf. 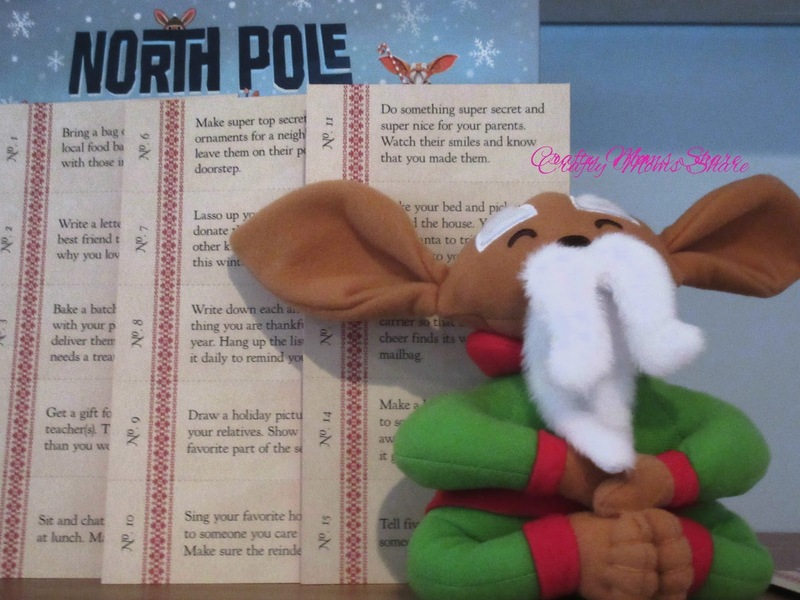 The purpose of the North Pole Ninjas is to spread kindness. 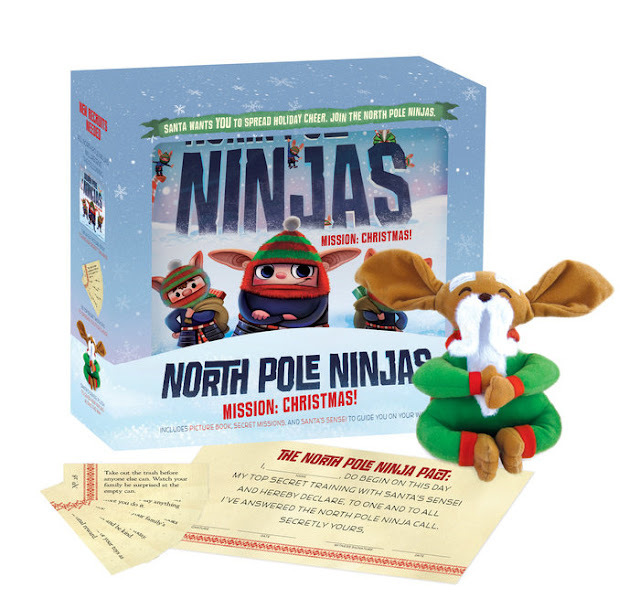 The book comes with a stuffed Santa's sensei to help with your training and an envelope with the pact and missions in them. There are fifty missions in the envelope. With missions like bringing food to the food bank, tell someone how much you love them and why, pay a nice compliment to each person you see one day they are things we want our kids to do and learn compassion and kindness. This program helps spread holiday cheer and teach some lessons to our kids. It is a wonderful alternative to the Elf on the Shelf. I find Santa's sensei much less creepy than the elf. 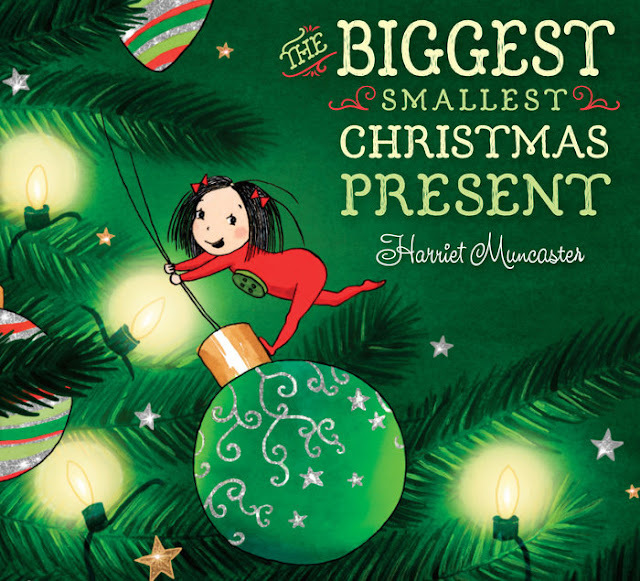 The next book is The Biggest Smallest Christmas Present by Harriet Muncaster. In this book a very tiny girl named Clementine tries to figure out how to let Santa understand how tiny she really is. He always gives her great gifts but they are too big for this extremely small girl. She sleeps in a matchbox and bathes in a tea cup.Her family tries to help her get the message to him. Finally Santa understands and brings Clementine the perfect gift and it is the perfect size for her. It is a sweet tale that reminds me a bit of those impossible situations like Flat Stanley. 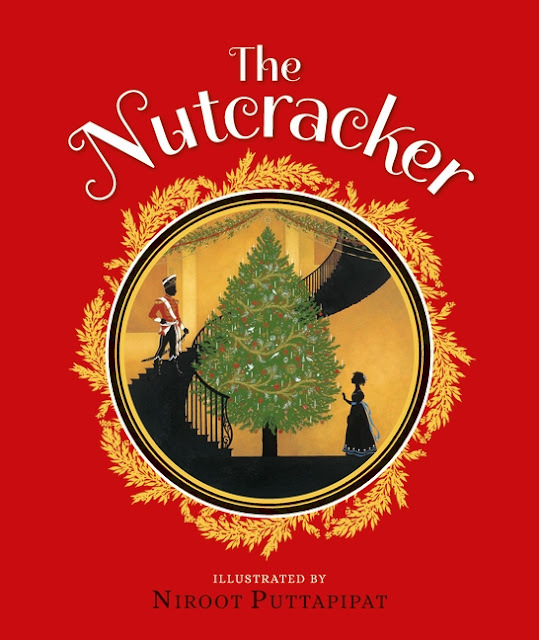 Our final book for today is The Nutcracker illustrated by Niroot Puttapipat. In this beautiful edition of the classic story the original tale is told in a shortened version. The illustrations are beautiful and then at the end there is a surprise pop-up. The pop-up brings some of the magic of the story alive. It reminds me of seeing the Christmas tree grow on stage. Isn't it beautiful? It reminds me of the beautiful edition of Jingle Bells which Niroot Puttapipat illustrated as well. So these books will bring cheer and kindness to your holiday season. I hope you will check them out!! 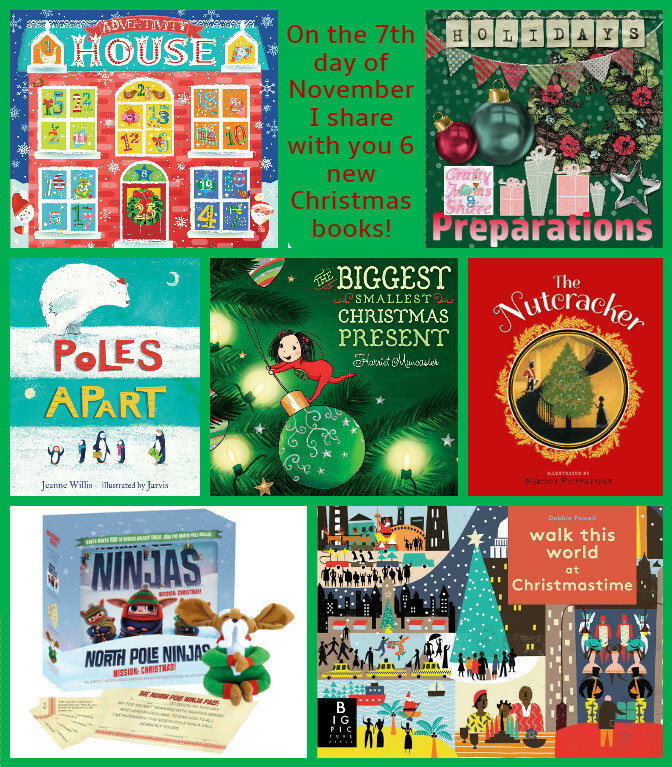 Stay tuned for even more holiday books! !